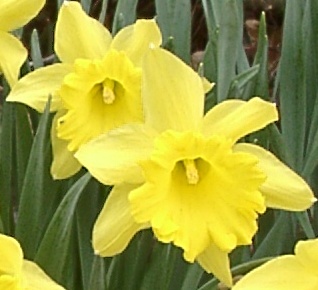 Overexposure commonly occurs when taking pictures of flowers and foliage, since the flowers are typically brightly lighted, while the image as a whole contains large areas of shadow, which fool the meter, whether averaging, center weighted, or multi-zone. 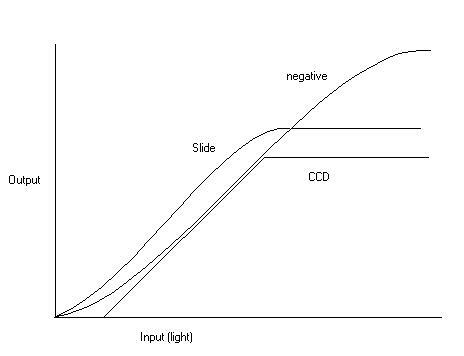 This problem is not so severe for color negative film, which is designed to have a large overesxposure latitude, but is more critical with color slide film, and especially with electronic (CCD) pickups, which have a sharp cutoff at their maximum level. This overexposure typically results in "blocking" of highlights (producing areas of maximum value with all detail washed out) in at least one color channel. In professional color TV cameras, the CCD is typically exposed well below the maximum, allowing room for bright highlights. These highlights are compressed (but not clipped to a fixed level) by a tone reproduction curve with a fixed or adjustable compression. 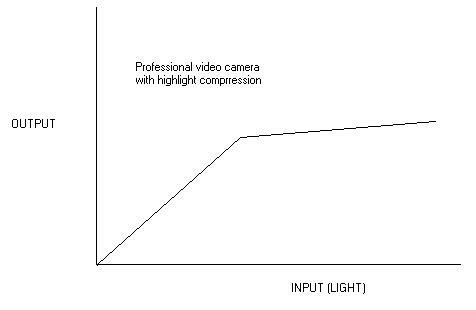 Digital still cameras typically do not have such a compression circuit, and expose much closer to the inherent clipping limit. In professional TV cameras and some digital still cameras, the color filters used are red, green and blue ("primary color filters"). In other digital cameras, different filters are used. Canon Powershot cameras, for example, use yellow, cyan, green, and magenta. The choice of color filters will determine what effects occur due to highlight clipping. In film, the three layers are always red, green, and blue sensitive. This overexposure problem may be avoided by using a spot-meter reading, but this has some variation depending on whether the spot measured has average brightness for the sunlit parts of the picture. It is possible to measure a bright bloom only, which will underexpose as the spot meter reduces this to a middle gray brightness. A good way to fix the problem is simply to use the camera's exposure compensation to reduce the exposure by about 1/2 stop. You don't want to go too far with this, as under-exposed pictures do not use the full 0-255 range of a 24-bit (8 bits per primary color) image. The examples below show a portion of three esposures with the Casio QV3000EX, first at default settings, and then with exposure reduced first by 1/3 stop and lastly by 2/3 stop. The nominal exposure is blocking in green on the brightest parts of the flower petals. The second photo has very little blocking, and the last one has none.